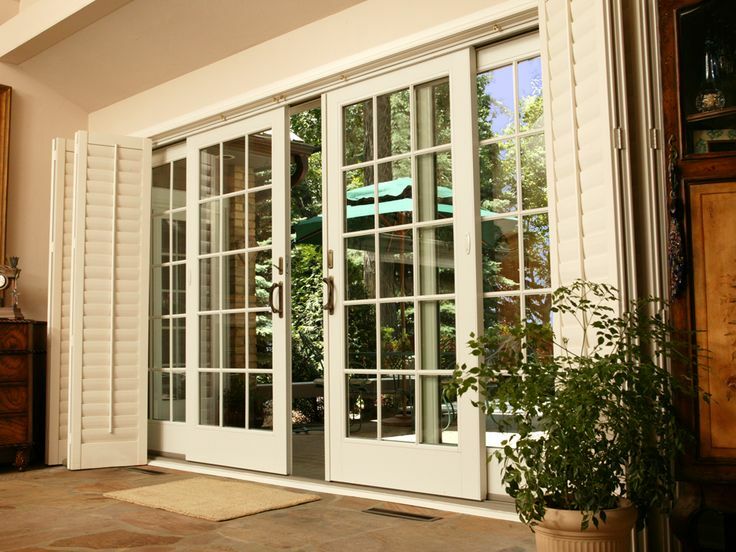 A French door is a beautiful way to bring more character to a room or space in your home. French doors can separate the living room from the dining area, or you can use them in the kitchen so you’ll have beautiful doors that lead to your porch. The doors should match the style of your home and the materials used should reflect your personal sense of decorating in order for the entire room to come together. Here are a few design essentials to keep in mind. If you want the entrance to a room to truly stand out, installing some thin vertical shelves on either side of the French doors is a great idea. This makes the entryway look wider and adds texture and color to the space. You can also use French doors as the doors for your closet. Since these doors have windows, this could motivate you to keep your closet tidy, since you can see the contents of the closet before you open the door. If you’ve got a small closet for coats or a separate area in your home for your wine and aged liquors, French doors are an impressive way to bring attention to this decorative home addition. If you enjoy the farmhouse style of decorating, you can give your home an antique feel by having French doors installed with a horizontal window positioned on top of the doors. This is reminiscent of an older style of architecture and can make the room feel more open and inviting. This French door option is ideal for farmhouse kitchens or sitting rooms that are positioned close to the kitchen, since the door can lead to your porch or backyard and let natural sunlight in. If you want French doors in the master bedroom, these can be beautiful when the doors lead to the balcony of your room. This can provide a romantic element to your bedroom space, and if your balcony is big enough for furniture, you can add a bistro table and chair so that you can enjoy breakfast or dessert on the balcony. You can also drape curtains made from thin materials around the French doors for a more dramatic effect and to bring the room’s décor together. Adding a row of small lights to the top of the French door paneling can also make the doors the feature of the room, and these lights will definitely come in handy during the evening hours. You can use the lights in place of curtains or a window treatment and can change the color of the bulbs to make the environment more energized or relaxed. It’s also a good idea to paint the paneling of the French doors to match the décor of the room. If you’re a fan of warm and inviting colors, muted shades of peach or red are beautiful; if you prefer soothing, cool colors, blue and green are best. This further customizes your space and will make your feel comfortable in your home. The installation of French doors can also increase your home’s value in case you decide to sell your home in the future.